Again, we warmly say “Welcome to P2 Grips!”. 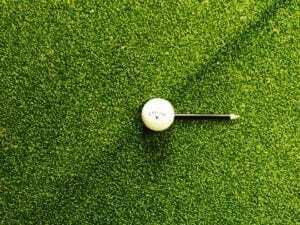 If you read our last post on tips “Aligning Your Putter With The Ball”, where we showed you a golfer not addressing the golf ball from the centre of the putter, since then a few people have got in touch wondering how best to test this themselves and get accurate feedback? If you are not striking the ball from the sweet spot, this will lead to the putter face twisting open or closed at impact as a result of the off-centre strike. This will also impart hook spin if struck on the toe side of the sweet spot, or slice spin if struck from the heel side of the putter. “To Know Your Putter”. 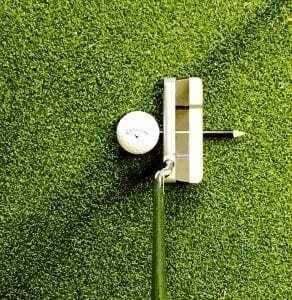 P.S- You don’t have to hover the putter above the pen/pencil, feel free to let the putter sit on it before you start your stroke. 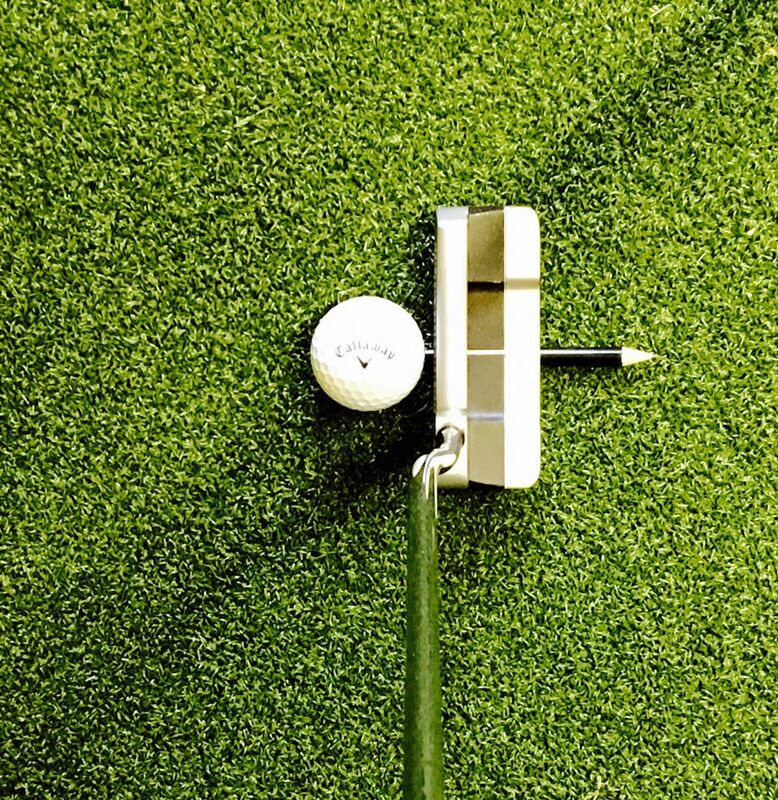 We hope these quick putting tips helps your putting. We have also “Rent P2 Grips From Clubs To Hire”. Previous PostP2 Putting Tips : Found The Sweetspot!